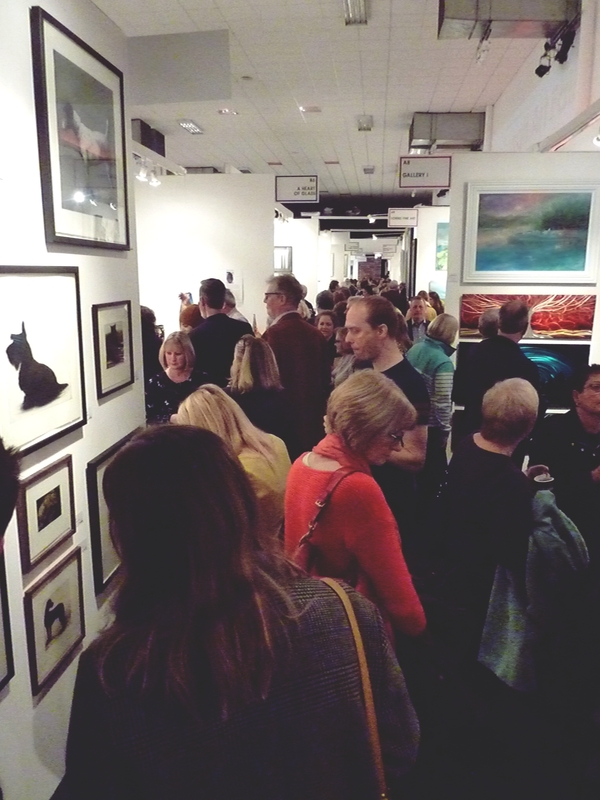 It was an absolutely buzzing preview at the Edinburgh Art Fair yesterday evening, with barely room to move – I was impressed so many people showed up on a freezing November night! 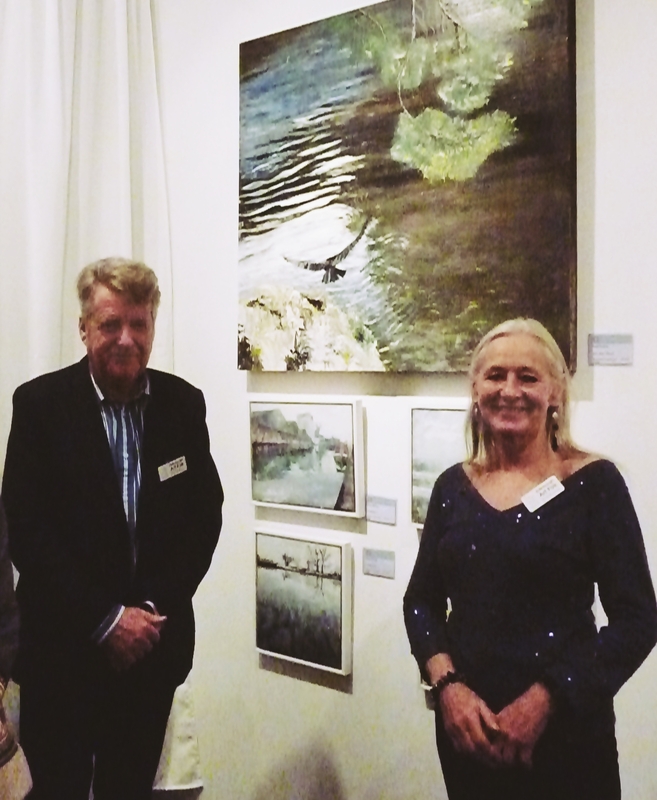 I had the pleasure of meeting owners of the Limetree Gallery, Sue and Stephen (photo below) who included some of my works at their stand (In photo below – ‘Hawk, River Tweed’ and four works from the Canalscapes series). Three of the Canalscape series sold through the Limetree as part of a mixed exhibition earlier this year and it’s been a pleasure working with them – it’s not just about being paid on time (which is nice!) but also clear, friendly communication, and I hope this enjoyable working relationship continues. This entry was posted in Uncategorized and tagged edinburgh art fair, hawk painting, limetree gallery, Scottish landscape painting on November 17, 2017 by rosestrang. People love and appreciate quality work. Thanks for sharing these photos. I’d love to display my works in your new gallery. I’m a big fan of yours.